In this workshop you will start with a black, resin coated 16x20 canvas to create a unique Acrylic Fluid painting on top of. 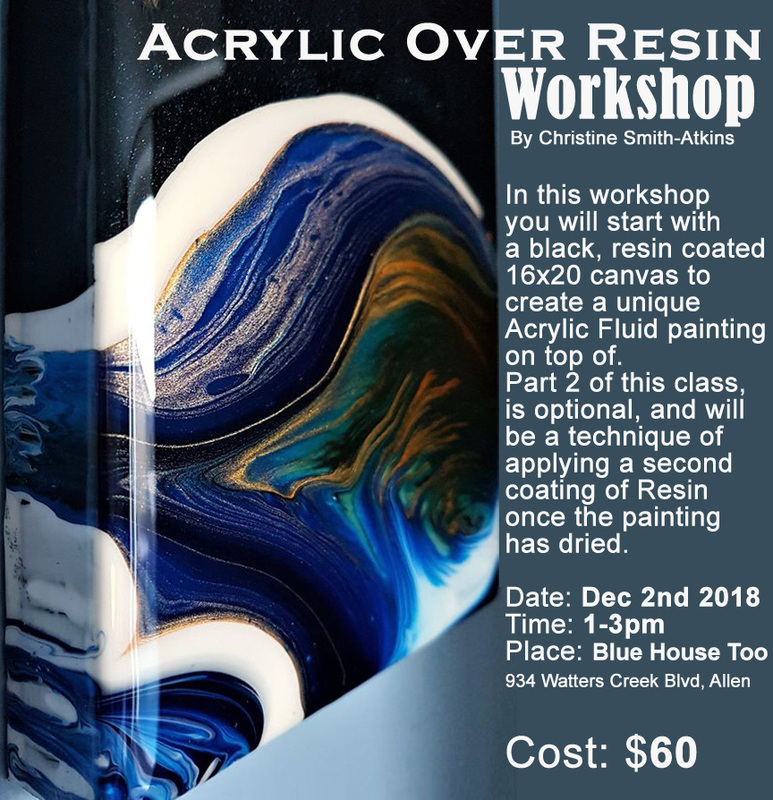 Part 2 of this class, is optional, and will be a technique of applying a second coating of Resin once the painting has dried. Ages 12+ Welcome, no experience Necessary.